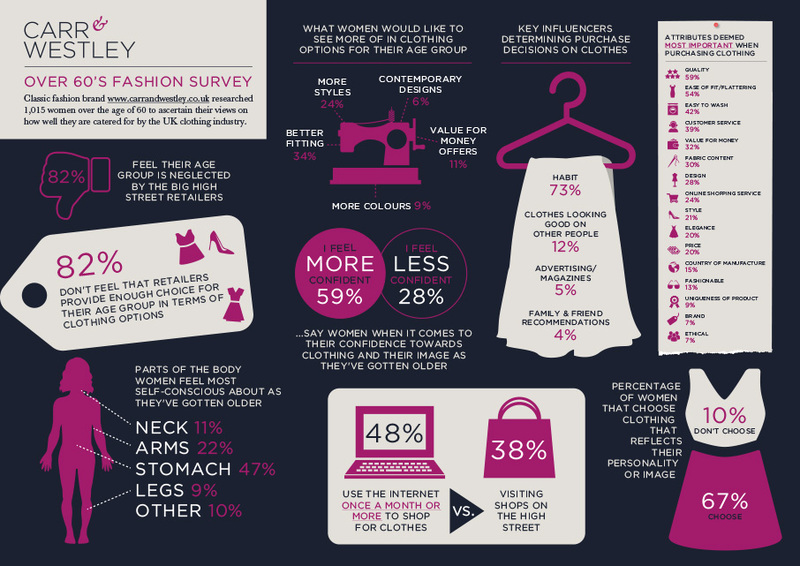 We recently asked 1,015 women over the age of 60 for their views on the UK clothing industry. Through the survey we wanted to know how they felt about current retail offerings to their age group, how their confidence in fashion has evolved over the years and how their shopping habits have changed. The results of the survey are displayed here in a handy Infographic. To see an enlarged version please click on the image. Please feel free to leave your own thoughts and views in the comments box below. This entry was posted in Classic Clothing on September 1, 2015 by Harry Burton.